In Isabella Alden’s novel Twenty Minutes Late, young Caroline Bryant mistakenly takes a wrong train and ends up in a strange city far from home. Alone and afraid, she finds temporary shelter in the home of kindly Dr. Forsythe and his daughter Dorothy. When Isabella wrote that the family “watched for the ten and three o’clock mails,” she gave us a hint that the Bryant family lived in a rather large town themselves. 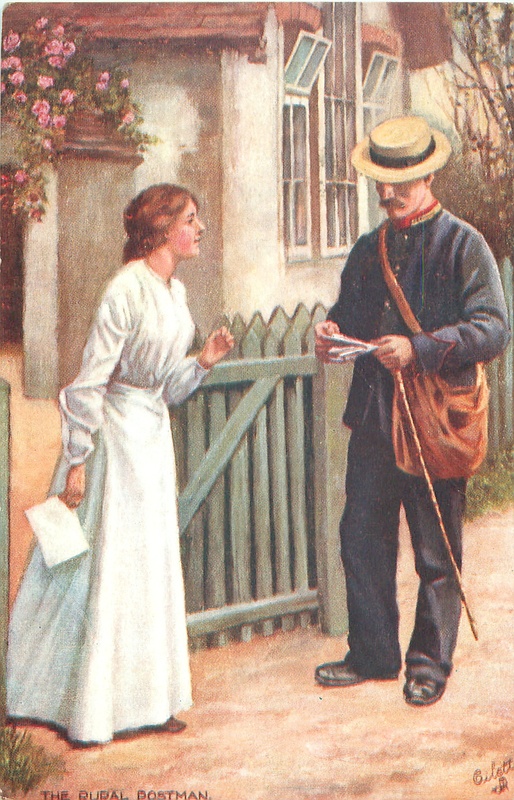 Twenty Minutes Late was published in 1893; at that time the United States Post Office provided “person-to-person delivery” of mail in most major cities. 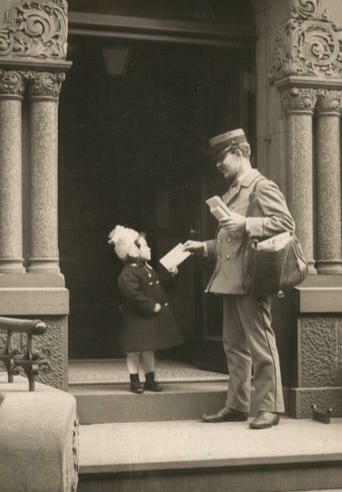 city mail carrier delivers a letter to a customer in Milwaukee, Wisconsin, circa 1908. 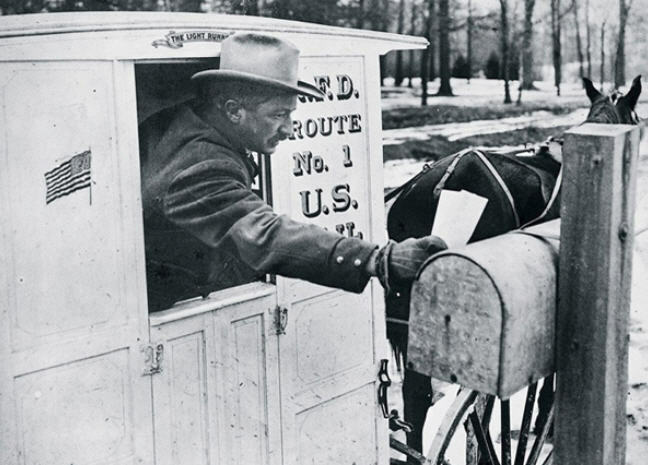 “Person-to-Person delivery” meant that mail carriers delivered mail into their customers’ hands . . . literally. 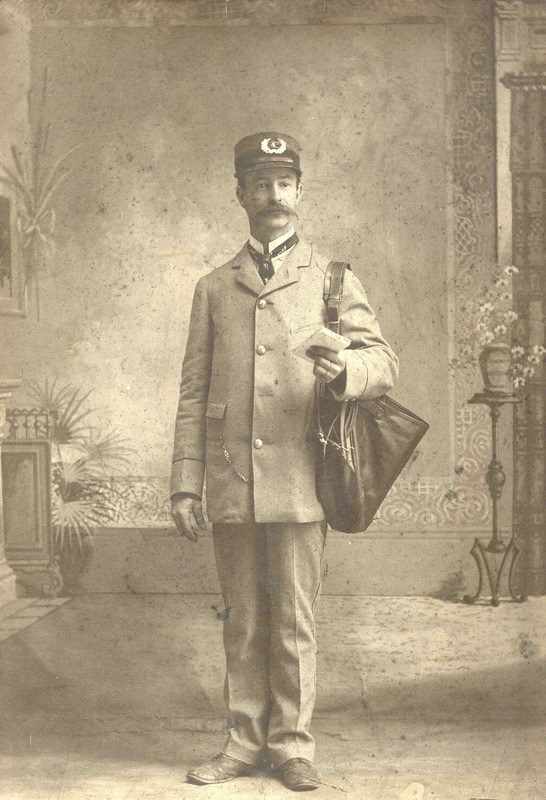 If a customer didn’t answer the carrier’s knock, ring or whistle, the carrier kept the customer’s mail in his satchel until the next trip. 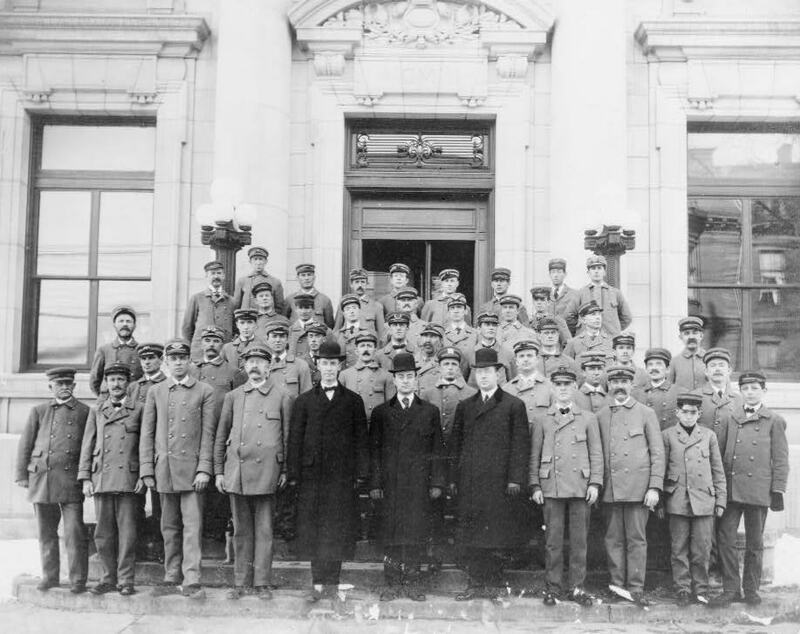 By 1914 city mail carriers spent up to an hour a day waiting at doors, trying to complete person-to-person deliveries. 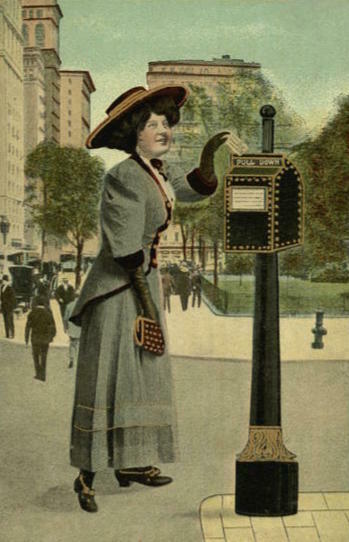 That changed in 1923, when all city customers were required to provide mail slots or receptacles in order to receive mail. 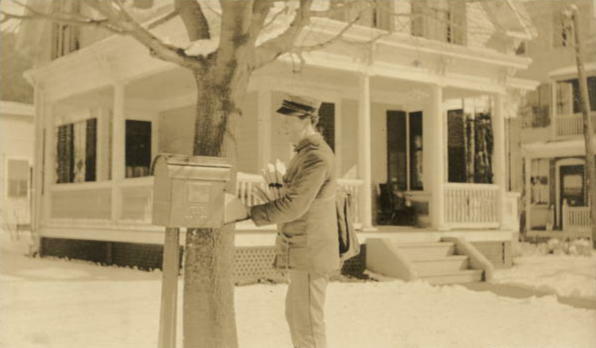 Mail delivery in Franklin, Massachusetts, March 1910. Mail was delivered Monday through Saturday. The number of daily deliveries varied by city. 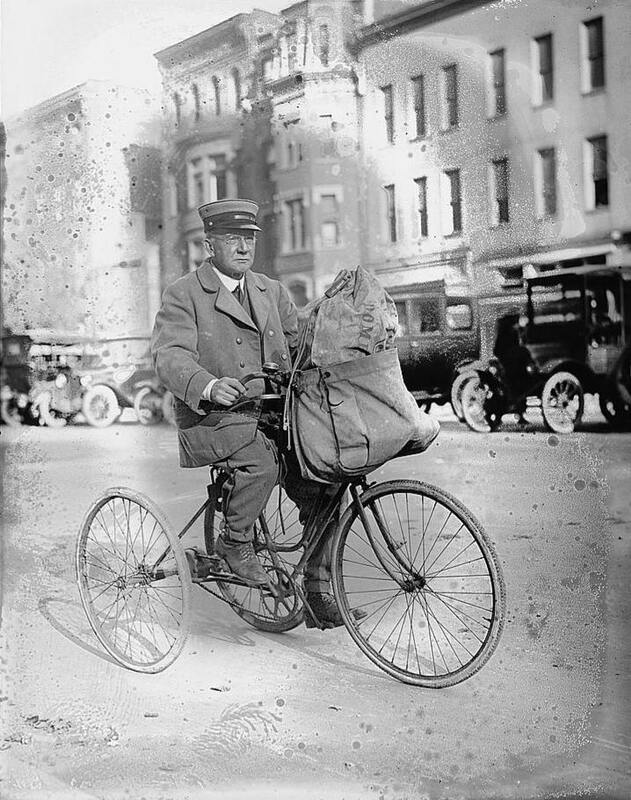 In 1905 letter carriers employed at New York City’s main post office made nine daily deliveries to businesses and homes. Letter carriers in Lawrence, Massachusetts, 1908. 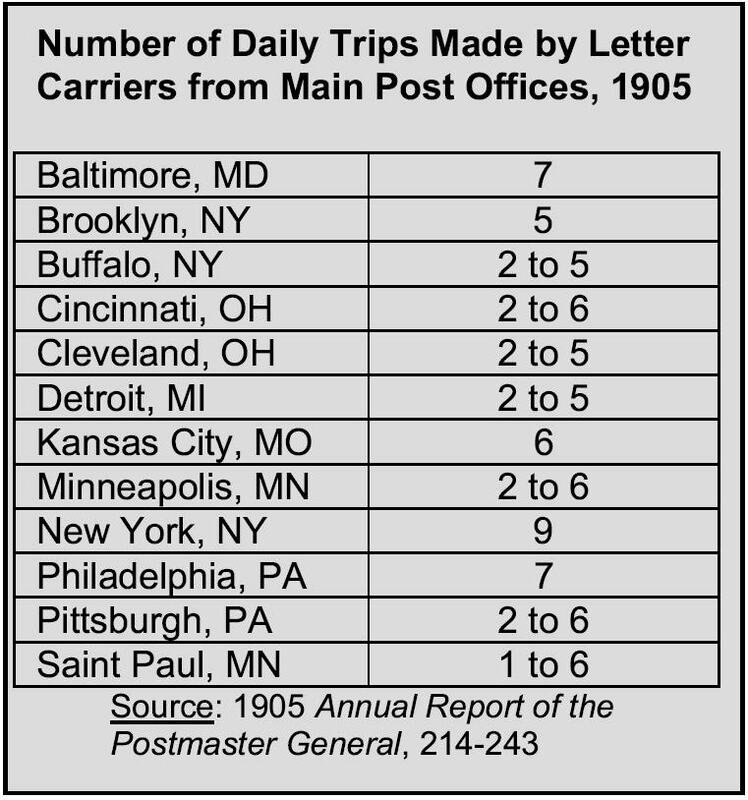 By contrast, customers in St. Paul, Minnesota received mail once a day, depending on which area of the city they resided. A rural mail carrier in 1908. With that kind of delivery schedule, it wasn’t unusual for local mail to be delivered from one part of the city to another within hours of being sent. 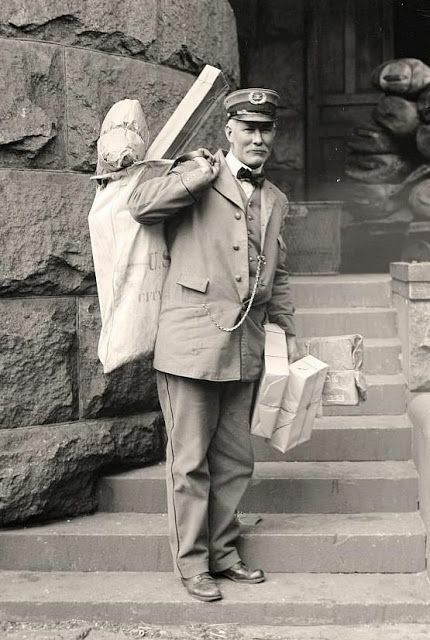 George L. Baum, who worked 35 years as a mail collector in Washington, D.C. Although the number of daily deliveries in large cities changed over the years, the U.S. 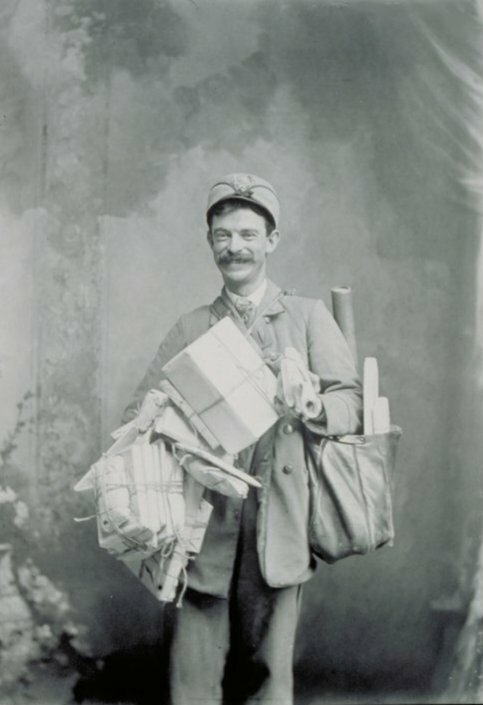 Postal Service maintained this hectic delivery pace until the 1950s, when they finally limited the number of deliveries in residential areas to one per day “in the interest of economy.” For the most part, multiple daily deliveries to businesses ended in the 1970s. Isabella’s novels and short stories are little testaments to the fact that there was once a time when the U.S. 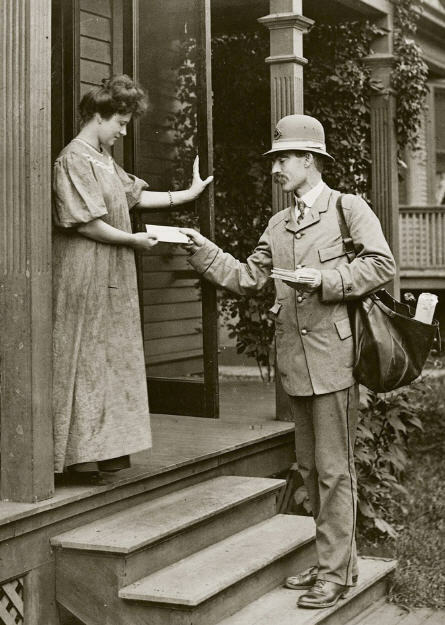 Postal Service delivered letters, bills, newspapers, greeting cards, catalogs, and advertisements with impressive speed and accuracy—without the aid of Zip Codes, automation, and computers. What do you think? Do you know anyone who works for the U.S. Postal Service? How would you like your mail carrier to personally hand-deliver your mail to you? This was so interesting…thank you! 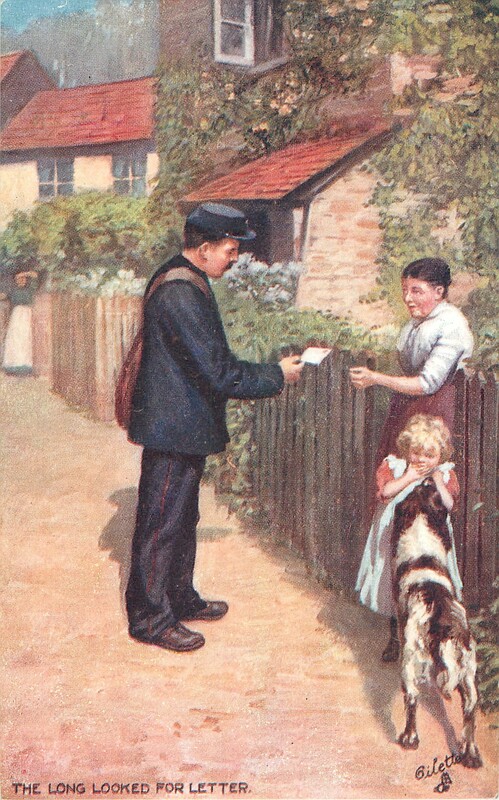 Ah, this article explains a lot to me about how the characters in a story would often receive a reply that afternoon or evening to a letter written that same day! I would like that type of service, but it will not come back. We must do with text and email….thanks for the great illustrations too! I knew they used to deliver mail multiple times a day, but I didn’t know all of this. Thanks for sharing. It’s such fun learn new things about history!